As we look ahead to our 60th birthday celebrations this year, the team at Dewhirst Kitchens have even more reason to celebrate after winning a special award from Dragon’s Den star Theo Paphitis! Every Sunday, between 5pm and 7pm, the massively successful entrepreneur rewards small businesses that tweet him @TheoPaphitis and describe their businesses in one tweet including the all-important hashtag #SBS. 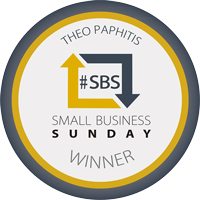 Small Business Sunday (or #SBS) was created in October 2010 with businesses all over the UK taking part. Every Monday night at 8pm, Theo reviews and chooses his favourite lucky six who are then re-tweeted. As he has over 500,000 followers, this provides a massive boost to the chosen lucky businesses, all of whom benefit greatly from the visibility that it creates. And guess what? 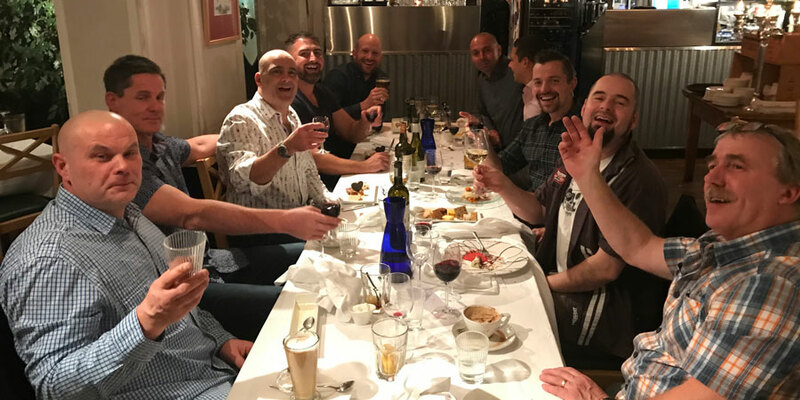 The Chairman of big brands such as Ryman Stationery, Boux Avenue lingerie, Robert Dyas and latest acquisition London Graphic Centre, only chose Dewhirst Kitchens to be one of the winners! Theo is also a mentor and investor in many other businesses which were made famous in the Dragons Den, including Wedgewelly and Fit Mix Pro, but, it seems his desire to help small businesses get the recognition they deserve doesn’t end there. To get the special accolade, our team entered the SBS competition every Sunday via Twitter and we won it at the beginning of October. The main advantage of winning is that it gives our Leicester kitchens business an excellent boost, due to the Dragon’s huge following and major clout in the business world. It’s also great to be associated with someone like Theo Paphitis and acknowledged by such a successful businessman. Not only this, we get to meet him in February and learn more about the man behind the legend! It’s not many businesses which have been a major part of Leicester’s thriving city centre for as long as we have – and seen success for all that time. Our story began in 1957 when Michael Dewhirst first founded the company. Since then we have built up unrivalled knowledge and experience in the kitchen industry. And our passion for providing quality products led to us to become one of the founding members of KBSA – the Kitchen Bathroom Bedroom Specialists Association. Over time we have been nominated for a variety of awards and as such – in priding ourselves on being pioneers in the industry – we have earned a place in history and been a pivotal part in the development of the fitted kitchen concept. With that comes a reputation for quality kitchens, combined with value for money. Today, we are proud to say that our showroom on Granby Street is one of the finest kitchen showrooms in the Midlands. And, 60 years on, we are still renowned for our passion for design, knowledge, expertise and customer service, which has enabled us to grow from strength to strength. We are hugely looking forward to meeting Theo Paphitis in February. But, we couldn’t have got to where we are today without the fantastic support of our happy customers. So, as we celebrate our big 60, a big thank you to each and every one of you! If you would like to find out more about the range of kitchens that we have to choose from, or you’d like to discuss your ideas with one of our experts, get in touch today.